I got my final version of my personal statement and you can close the order. I am highly satisfied with your service and would like to use in future again. To write your personal statement for UCAS is a smart move especially when you want to submit your resume to several schools at once. The UCAS is a centralized system which students can access to see which providers are offering the course of their choosing and learn what requirements they need to fulfil as well. One of the documents that you need to submit when applying for UCAS is the personal statement. 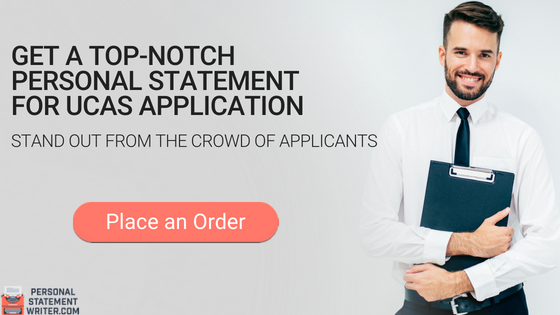 You might scoff at the idea that this plays a role on your chances of being accepted but most providers are looking into this part of the application to determine if the applicant is qualified or not. If you want your statement to stand out you should have a UCAS personal statement checklist on hand which you can use to determine if you have covered everything in your document or not. For those who have already written their UCAS essay, you need to check how well you have written your paper. Reasons: Have you stated your reasons for wanting to pursue the course you are applying for? Unless you know why you wish to take up a particular course, you will have a hard time writing your personal statement. Make your choices: You should think of at least five choices when it comes to course preference but if you are only interested in one, go for it. This will help make writing your personal statement easier. Coherent: Check your personal statement if it is coherent. Look at the flow of your statement to see if it is relevant to the courses you have chosen or not. Details: Have you provided your readers with details about why you are qualified for the program? Are you specific in the skills that you have indicated and how they are related to the course of your choosing? Structure: Are you following a template or format in your personal statement? Is it the right one for the course that you are applying for? Have you learned UCAS entry requirements? Are you still unsure of whether your personal statement is the best that you can do? Well, if you ask the experts, the best way to make your personal statement stand out is to focus on your strengths. What is it about your skills that you believe is unique to the course that you are applying for? Highlight these skills in your paper and add as much the details as possible so your readers will get a clearer picture of what you can do. You should focus your reader’s attention on the positive aspects of your skills and experiences so they will know that you can handle the kind of workload that they will be giving to you. Don’t forget to review your work afterward so you can determine if there are any grammar errors that you may have committed. If you want your personal statement to stand out among the crowd, use the UCAS personal statement checklist where you can compare what features schools are looking for in their applicants and whether you need to make improvements on your paper or not. It would be a good idea to have someone review your work too if possible so that they will be able to give you feedback on whether there are weak points in your personal statement or if it is ready for submission. Find out how to write a statement of purpose post baccalaureate! Persuading the committee is not an easy thing. If you want to win the competition, then you need to answer the personal statement prompts correctly. You need to show how exceptional and unique you are, so you can be noticed and get their attention. There are numerous steps you can have in ensuring you can answer your UCAS personal statement prompt. The first thing you need to do is give yourself much time to answer them. Do not wait until the last minute before you start making it. What you need to do is to brainstorm, have your own rough draft, revise and proofread. In all this process, you need plenty of time so keep that in mind. Your personal statement should be customized, as it is your chance to explain yourself, ambitions, inspirations, hopes and life experiences. You need to take time in answering your essay. You need to be reflective and open. As you answer, think about the committee who will read your essay and what you want them to understand. You need to describe your family, school and community. Make sure you explain how the world shaped your inspirations and dreams. Discuss what the subject you are interested in. What experience you have in your chosen field like employment, internships and volunteer work. If the school as for characteristics, answer it perfectly by telling about your talent, personal quality, experience, contribution and accomplishment. Explain what you have that makes you become a better person and be proud of what you have now. 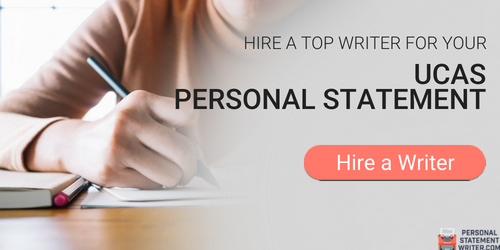 You can also check our personal statement essay examples! With your personal statement prompt, make sure you bring out the best. Ensure you answer all the questions incredibly. Never give the admission negative comments about you instead make them satisfied with all your answers. As a summary, take our time and don’t rush. You need to think and keep yourself focused. After you are done with personal statement writing, ensure to revise and proofread it in order to ensure you do not have any errors in grammar and spelling. Use our UCAS personal statement checklist to get the best output for your personal statement in no time! And if deadlines are already looming on the horizon remember that the help of our reliable service is always available for you! Order Brainstorming from Our Best Writers and Be Sure in Your Success! Our Talented Experts Know How to Make Your Admission Triumphant!